Handmade wooden spoon crafted from solid North American hardwoods. 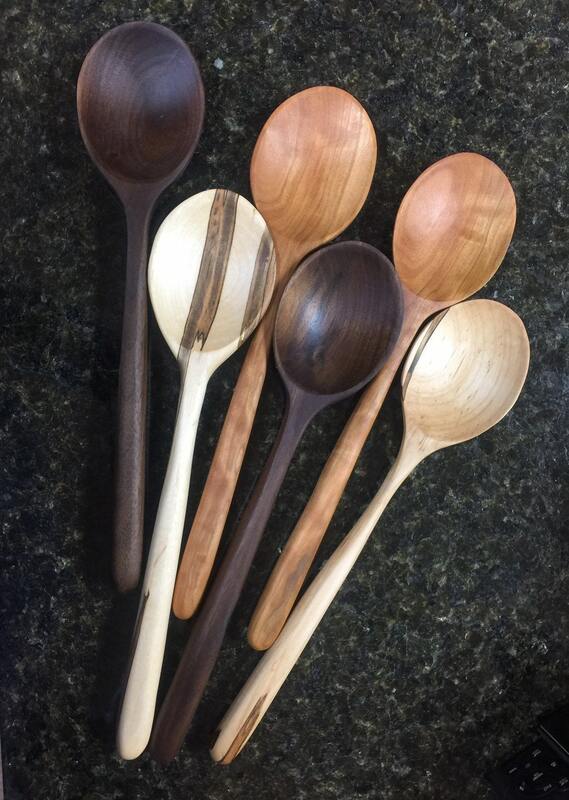 These beautiful wood spoons are a perfect hostess gift, housewarming gift, wedding gift or gift for any cook or baker. Perfect for mixing batters, sauces, soups and stews. Finished with mineral oil and beeswax. Shown in walnut, ambrosia maple and cherry. All spoons are handmade and one of a kind. If you order the '4 spoons' option, please specify in the note to seller field which wood species you would like. Order any combination!